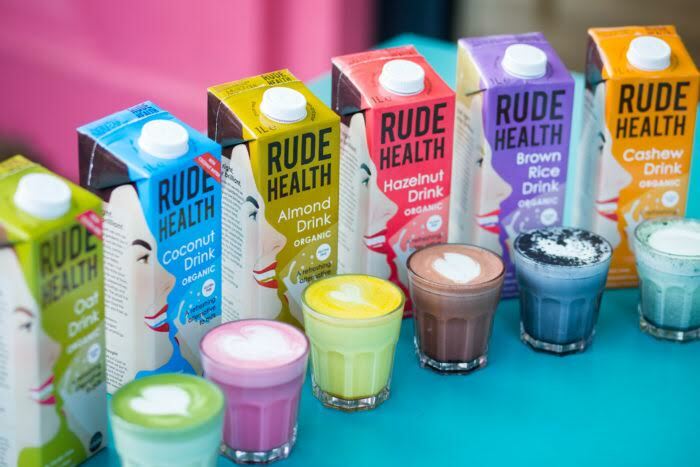 The Run-Down: Rude Health Café is an upbeat daytime eatery that celebrates positive eating. And great if you’re not into coffee, as this south London spot has a dedicated ‘not coffee menu’ going far beyond the humble tea leaf. We’re talking about beetroot lattes, charcoal lattes, and spriulina lattes. 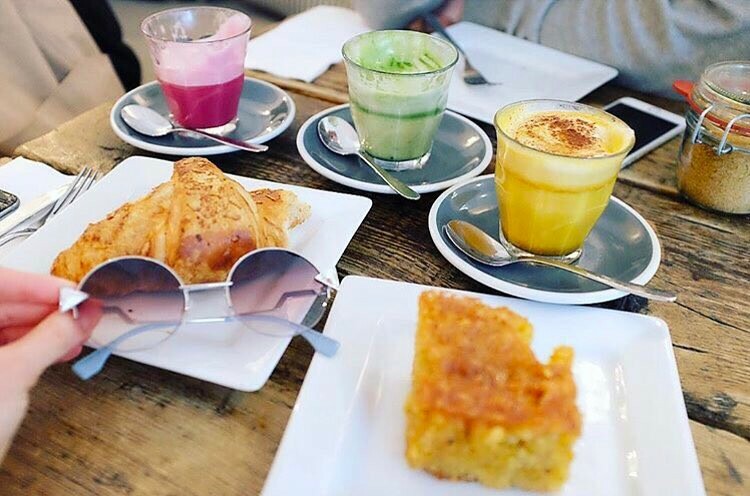 Our fave is the turmeric latte – a slightly metallic taste with earthy notes. It tastes ways nicer than how we’re describing it. The Run-Down: Good and Proper Tea is like journeying to the motherland if you’re a die hard tea drinker. 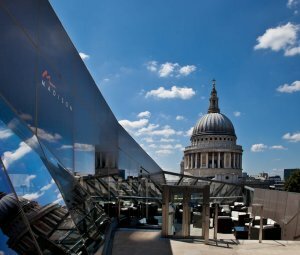 They stock one of the best tea selections in London (a casual 30), and range from assam to oolong and not forgetting the classic builders tea. And Good and Proper Tea just keep on giving, as they now have a new iced tea menu which changes from week to week. 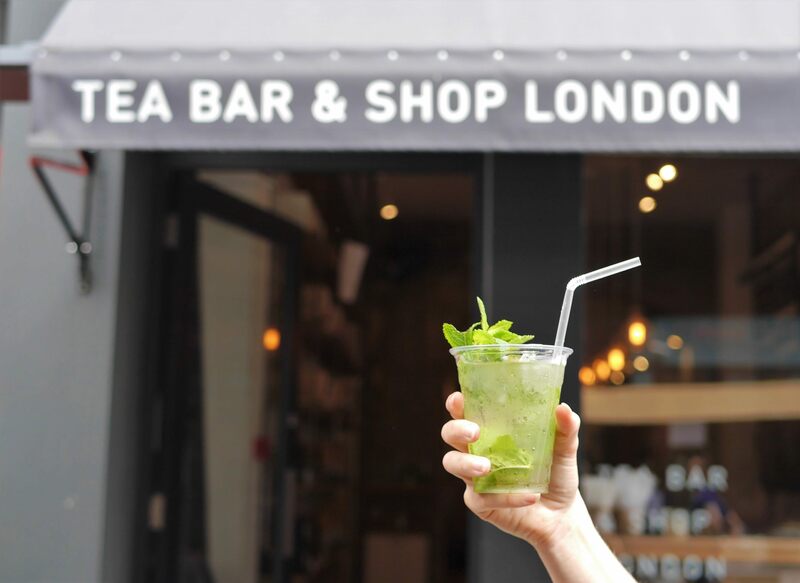 It’s all about the mint and lemon iced tea; sweet, fruity and totally refreshing. 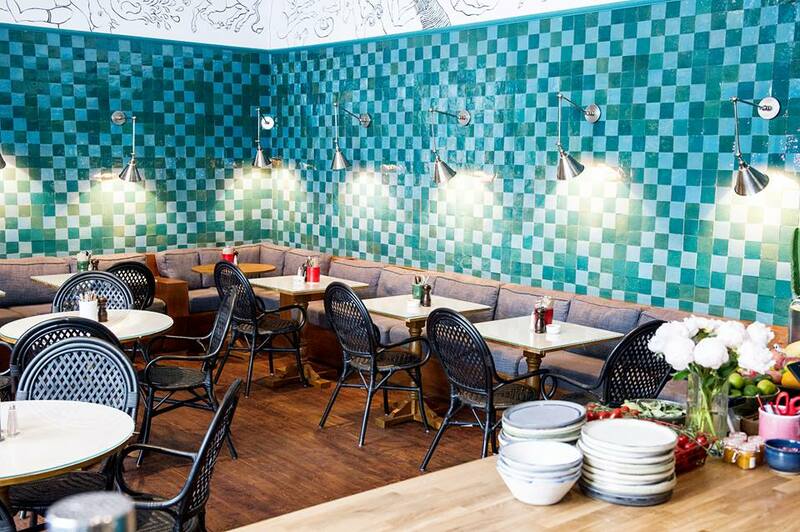 The Run-Down: Pamban is Camden Market’s latest beverage recruits. 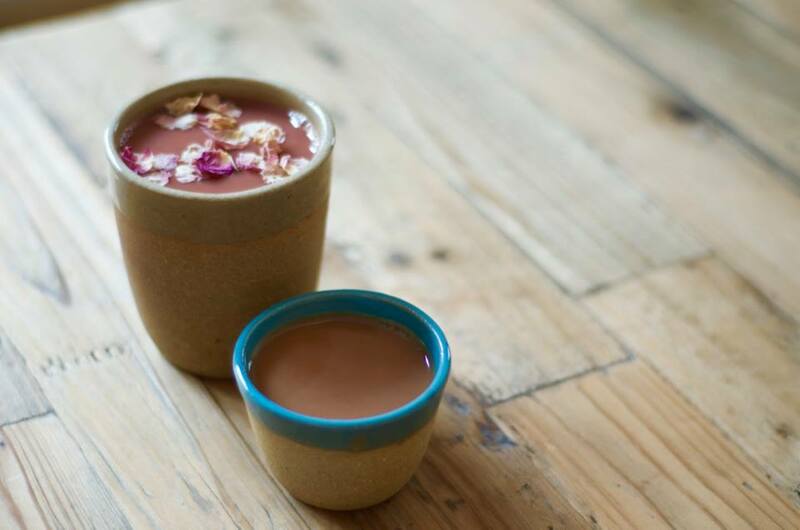 This new all-day destination chai and coffee house has plenty of coffee-free beverages to feed the whole of north London. If chai is your vice, Pamban have a dedicated chai counter where their Masala chai is hand-brewed freshly throughout the day using a closely guarded spice blend, and served in traditional clay cups. 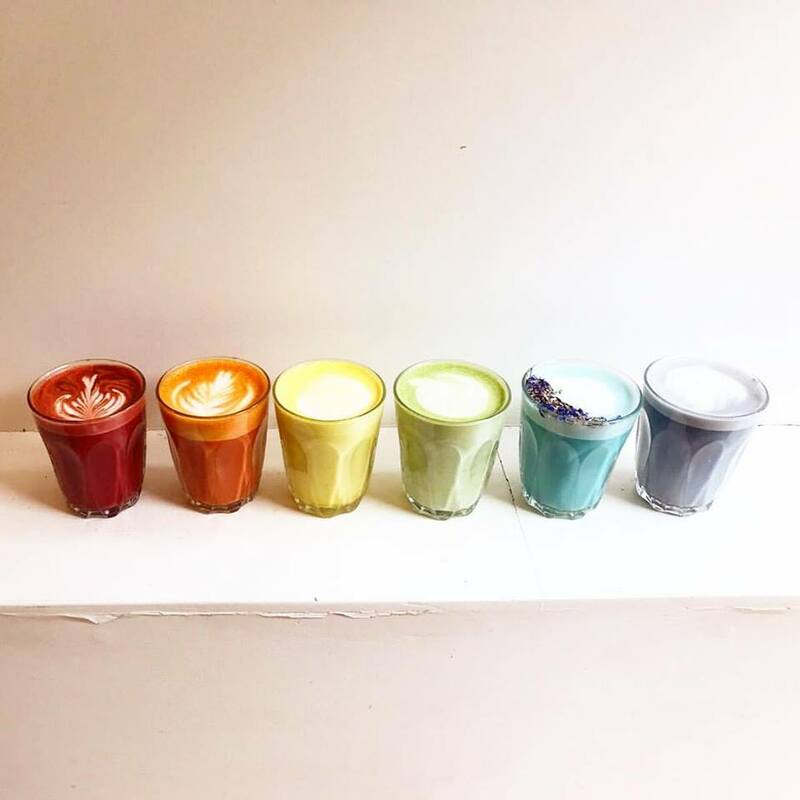 Whether you keep it traditional or discover something new, you will find flavours to tempt all tastes, including rose, saffron and even lavender. And fudge. Fudge. Chai. So much yes. The Run-Down: With its front terrace and folding doors, Hally’s is the popular brunch spot in Parson’s Green which champions a relaxed vibe and brings the glow of Californian sunshine to London. It’s all about health here – using the finest produce to create dishes that’ll make your tummy smile. And the same goes with their drinks menu, the cafe serve special superfood lattes like pink beetroot, green matcha and yellow turmeric. 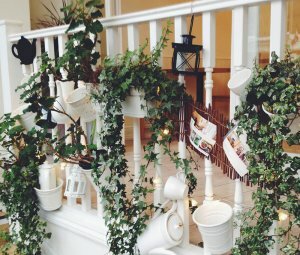 The Run-Down: Palm Vaults is so achingly cool, it makes our Instagram game look weak. This east London hot spot is the real life version of a Valencia filter – there’s plenty of greenery, vintage leather seating and pink tables. 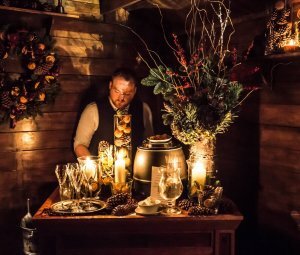 It effortlessly oozes an uber trendy 70s vibe, and that’s just the interiors – wait to you see their cake and drink selection. The menu features their Insta famous rainbow lattes (which are all vegan fyi). If you’re after a floral hit, the rose latte is pretty, pretty dreamy. The Run-Down: Everyone goes wild about Dishoom’s bacon and egg naans (whoever decided to put these two breakfast greats into a naan deserves a bench with a plague on it) – but its Dishoom’s unlimited chai that makes us happy. 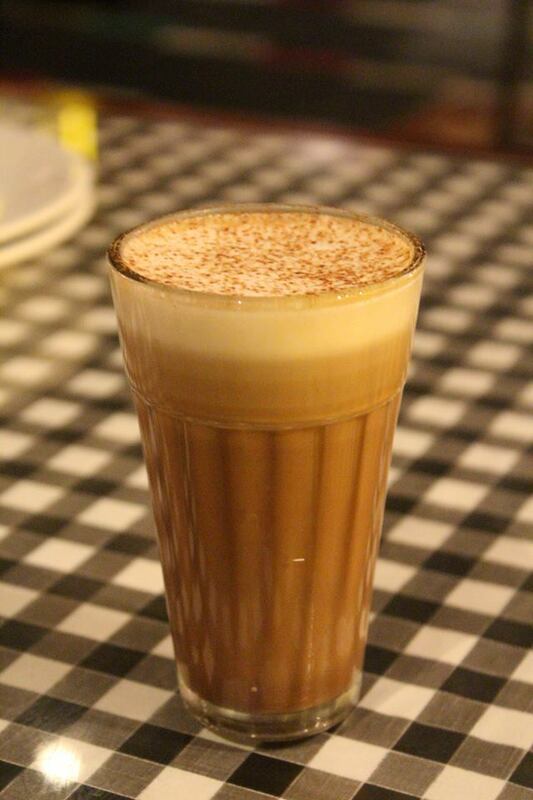 The comforting glass of spiced tea is, quite simply, unbeatable. Forget your faddy drinks, forget your weird superfoods; this chai is the real deal. And for the same price as 5 bananas in Pret, you can enjoy endless amounts of chai. If you can stomach a chocolate hit pre-10am, the naughty chocolate chai is incredibly smooth, and simply divine. 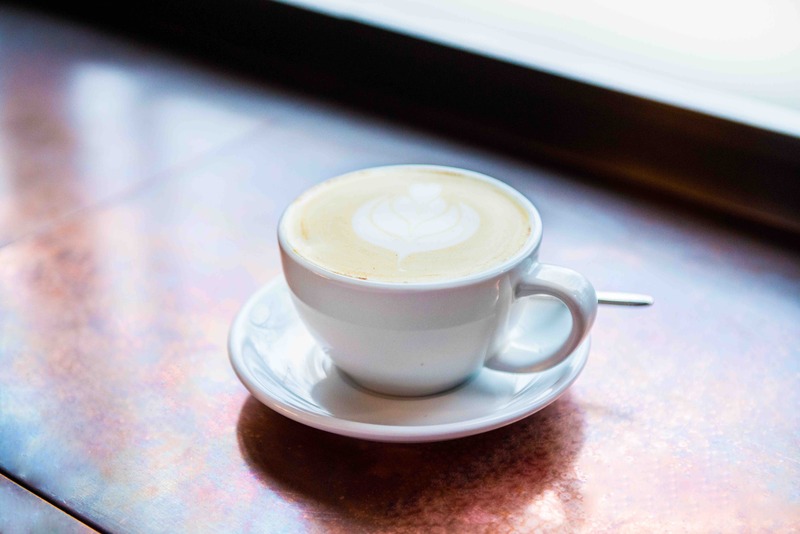 The Run-Down: Park Lane was crying out for a coffee shop, and so, when Parcafe rocked up with their artisan coffee and freshly baked cakes – it was a blessing. 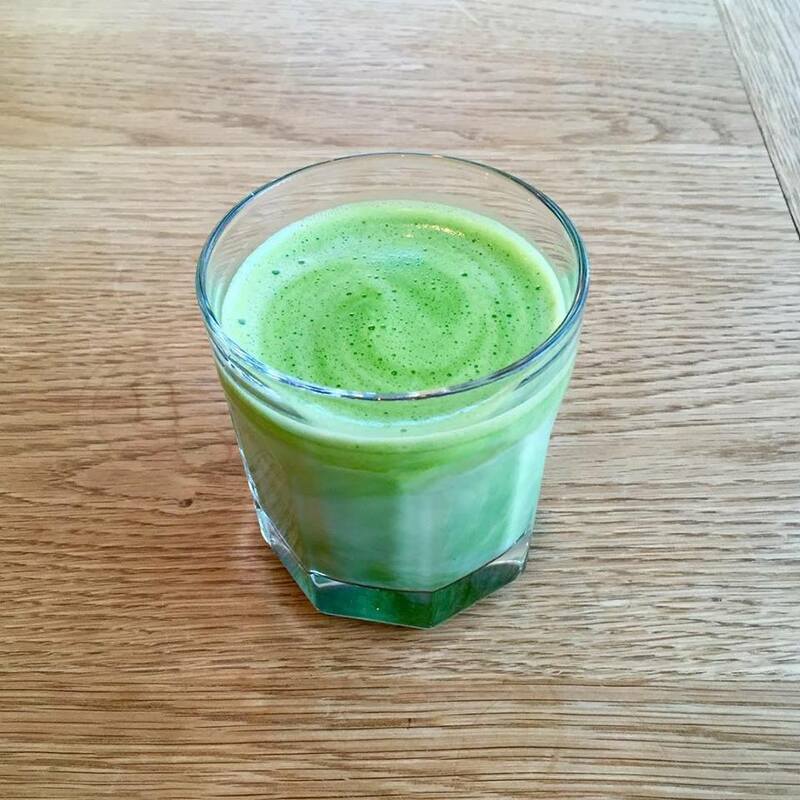 The team are super on it when it comes to coffee, but don’t fear coffee hating chums – their matcha latte is one of the best in London. If you need something warm and comforting to soothe you on a morning, their golden latte will do just that. Full of spices, a hint of sweetness, and plenty of health benefits – the golden latte is a winner. 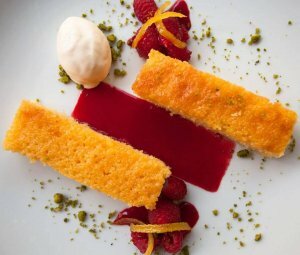 The Run-Down: Nama is a place you either get, or your don’t. It’s a raw, vegan restaurant where the food hasn’t been cooked, treated, or processed in any way, above 115°F. Ideally placed on Talbot Road in Notting Hill – this virtous spot is a hit with the lycra loving babes of west London. But you don’t have to master the art of the warrior pose to go and enjoy their liquid delights. 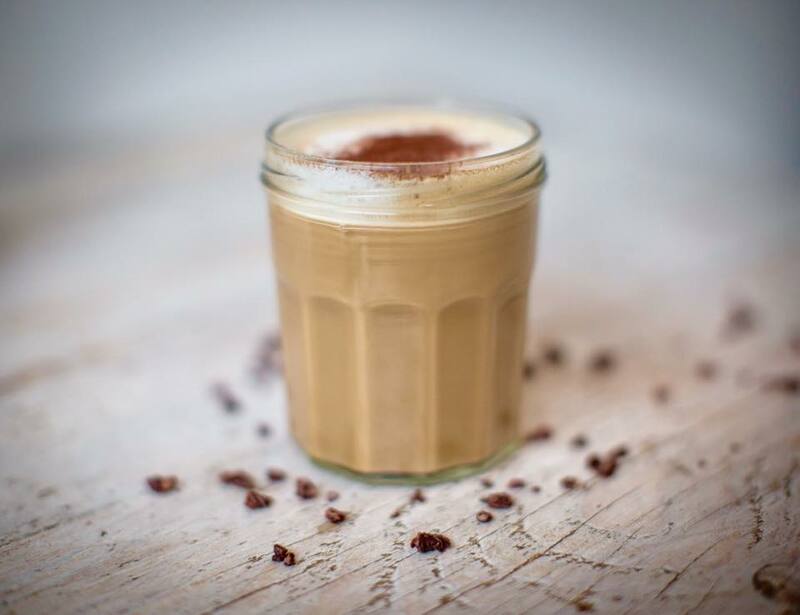 Here, there’s plenty of choice for the non-coffee lot like the superfood latte with lúcuma, coconut oil, plant milk, vanilla, maca, white carob and medicinal mushrooms, and the hazelnut cacao with cinnamon and chilli. If you’re feeling brave, opt for the dandelion coffee. Tasting is believing. The Run-Down: Tombo is a dedicated matcha bar and Japanese cafe nestled in South Kensington – and they’ve just opened a third site in Fitzrovia. They’ve got a a whole menu dedicated to the tea leaves: it’s matcha heaven. A matcha latte done wrong tastes like some murky sea water, but Tombo get their matcha lattes so right. It helps that all of their green teas and matcha are sourced from the foothills of Mt. Fuji. Casual. The Run-Down: Charcoal latte? What a time to be alive. A holistic and healthy, yet comfortingly simple approach to Australian cafe culture in the heart of Notting Hill, Farm Girl values fresh, nutritionally nurturing ingredients and delivers them in a warm and welcoming environment. Charcoal lattes first gained love over in Oz, and they’re starting to become popular in our fair city. Activated charcoal is blended with date syrup and cashew milk for a an almost vanilla-like flavour. Apparently, there’s loads of health benefits, but we just think it tastes rather pleasant.